Ruby is a precious gemstone, adored for its beautiful red colour and incredible lustre. 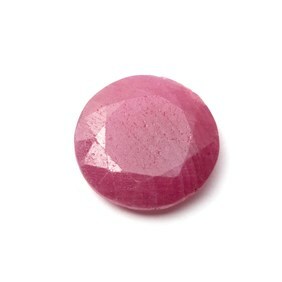 This gemstone is perfect for everyday wear and has a wonderful red glow in the sunlight. 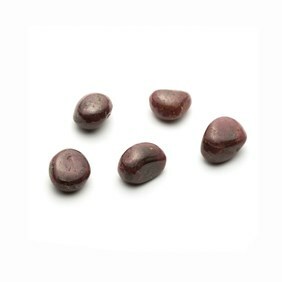 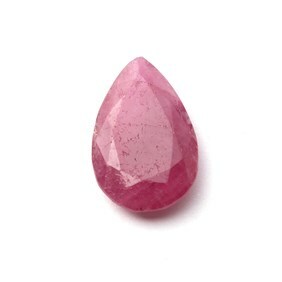 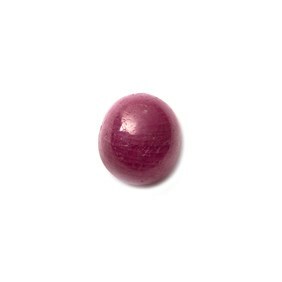 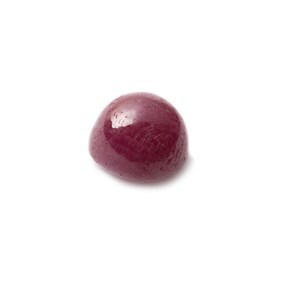 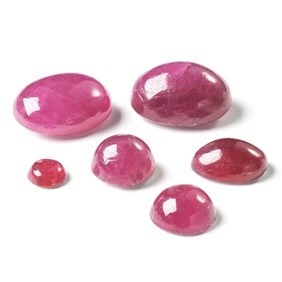 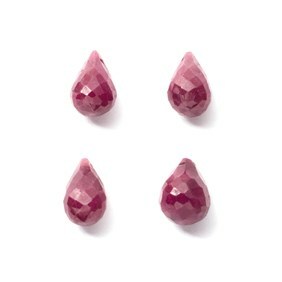 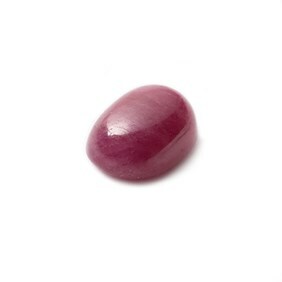 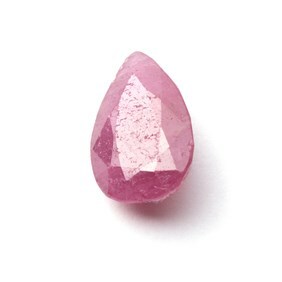 Shop our wide variety of ruby cabochons, faceted stones and beads below for jewellery making. 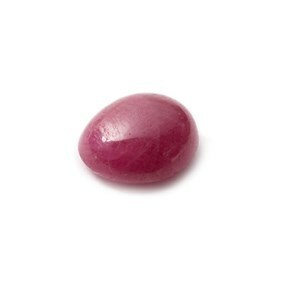 Ruby is a rare gemstone which is adored for its red colour, durability and incredible lustre. 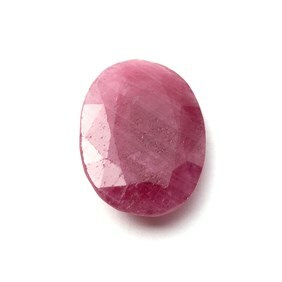 It is the red variety of the mineral Corundum and part of the list of the most precious gemstones alongside diamond, sapphire and emerald. 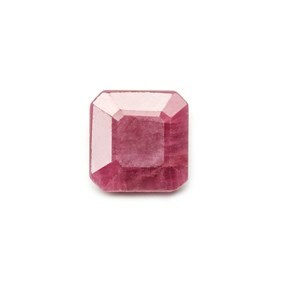 The deep red colour is caused by traces of chromium and in sunlight, rubies have an incredible red glow where its colour is intensified. 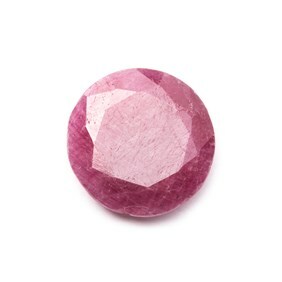 All other colour varieties of corundum are referred to as sapphire despite having the same properties. 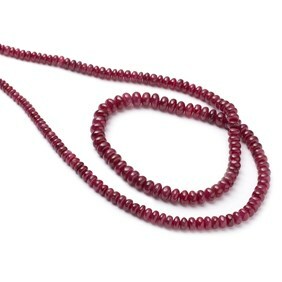 Many rubies are from Thailand, they have a brownish hue and are often heat treated to make the colour more desirable. 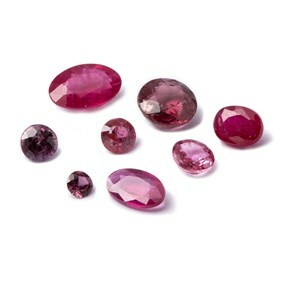 Rubies are also mined in United States, Australia, Sri Lanka, India, Vietnam and Mozambique. 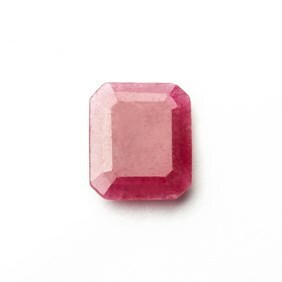 Rubies measure 9 on the Moh’s hardness scale - the only natural gemstone being harder than ruby is diamond. 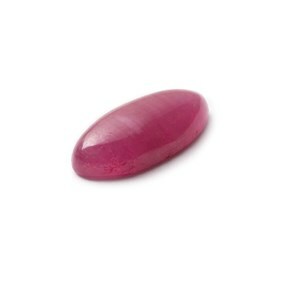 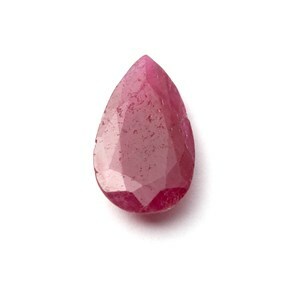 Ruby is a great gemstone to use in jewellery designs due to its durability and rich red colour. 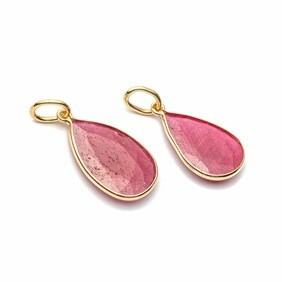 It's perfect for everyday wear and special occasions, due to being July's birthstone and the 15th & 40th anniversary stone. 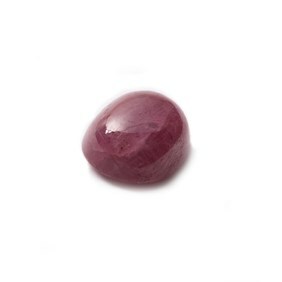 At Kernowcraft we have a range of ruby gemstone for jewellery making, this includes ruby cabochons and ruby faceted stones in a range of shapes and sizes. 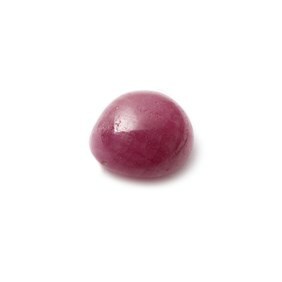 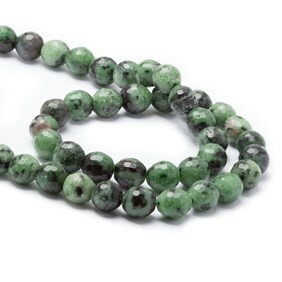 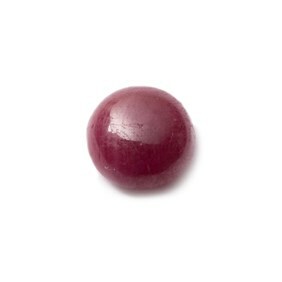 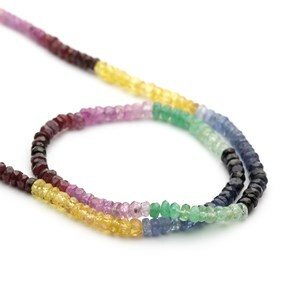 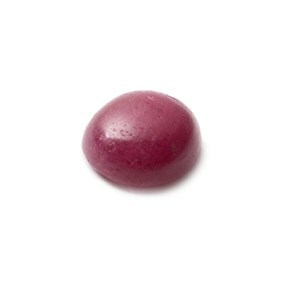 As well as natural ruby tumbled stones, ruby rondelle beads and more. 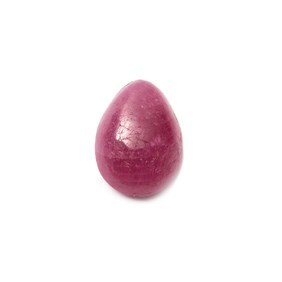 Ruby is associated with prosperity, wealth and leadership.